Don’t we all hate email or SMS spam – those meaningless, time-wasting pieces of unsolicited digital miscommunication masquerading as marketing messages, for example. The trouble is, much of the volume of emails sent around the world actually comprises of spam. 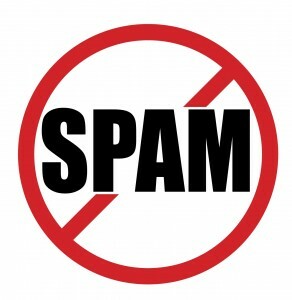 Consider this – there were 210 billion reported incidents of spam in 2012. Interestingly, research compiled from messaging threat protection service provider Cloudmark’s Global Threat Network actually places the United States as the top country in the world in terms of volume of email spam, followed by Brazil and France. Asia Pacific countries rated fairly low on the global scale when it came to volume of email spam sent, but they do exhibit a high incidence of spam among total emails sent (i.e. they send less emails, but a large proportion of those can be spam). But the greater danger lies in that the link embedded within that spam email (or even an SMS) that you just received on your personal device could be a malignant one that contains a phishing attack. Phishing – a method used by cyber criminals to acquire personal, confidential information such as your usernames, passwords and even credit card information – and other cyber attacks such as have been on the rise across the world. In fact in Singapore over 72-percent of adults online – or 1.4 million people – last year was estimated to have been exposed to cybercrime, with some US$944 million in direct financial losses, according to a report by Norton. Aside from email spam, SMS spam is an increasingly pressing issue worldwide. About 40% of SMS in India is spam. In Singapore, SMS spam has become enough of an issue that the country announced a national Do-Not-Call registry that will take effect from 2014, aimed at protecting consumers from from unsolicited SMS advertisements and messages. Cook adds that much of the onus for dealing with spam threats lie with national telecom providers who manage message traffic and data pipes, who are just beginning to awake to the threats posed by such fraudulent activity that cause consumer dissatisfaction, and loss of revenue to grey route traffic. He says Cloudmark is already working with various telecom operators and ISPs around the world – such as OCN, Vodafone, Optus, Telstra, NTT Communications, GMO Internet Group, PCCW and QQ- to implement threat mitigating solutions such as its Spam Reporting Services. “We are currently working with a number of tier one telecom operators in APAC and continuing our committed expansion in the region,” adds Nick Halar, Cloudmark’s Regional Sales Director for ANZ, Singapore and Malaysia.